This book is a child's book. It can be used as a devotional. Thing I liked about this book is the 2 song CD's included. 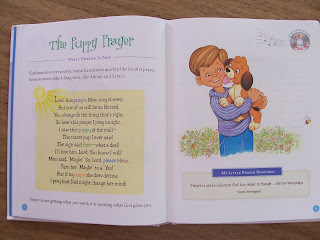 It teaches your child the importance of lifting your praises to God in prayer. Each devotional is a two page spread. It has some Bible thoughts a prayer reminder and a song on the CD to go along with what they are teaching. A poem or scripture verse is included with each devotional too. 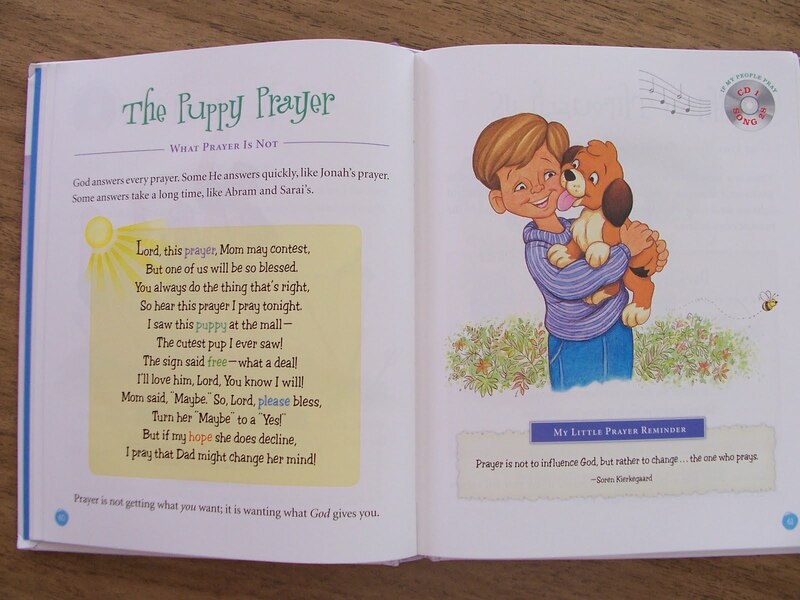 The theme of the book of course is prayers and songs, worship and praise to God. I believe that is well developed in this beautiful book of song and praise. The illustrations are very attractive too. Here is a sample page.